Gymnastics is an exciting and rewarding sport that can help to prepare a child for many of life’s challenges. 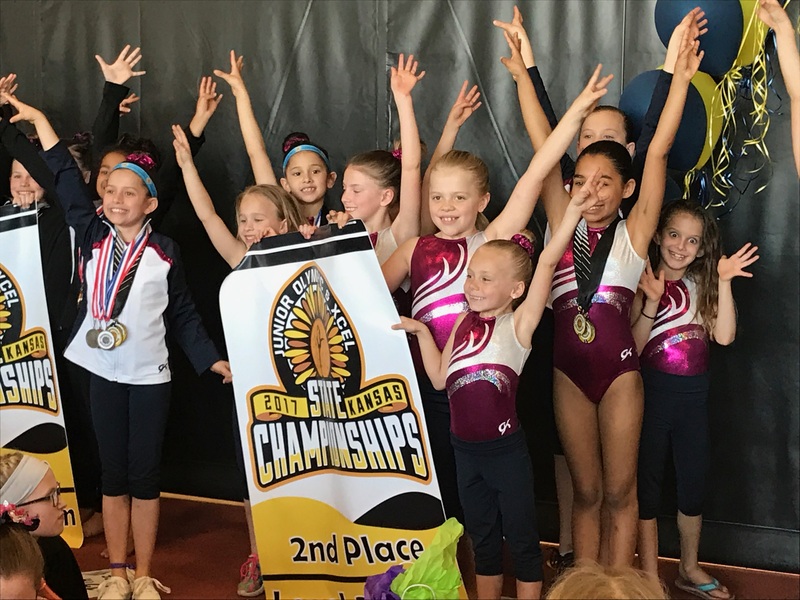 The great thing about organized club gymnastics is that you can expect it to provide progressively greater benefits the more your child develops and embraces the sport. Artistic Gymnastics which you will recognize by the traditional events apparatus long used in the Olympic games. For girls: Vault, Uneven Bars, Balance Beam and Floor Exercise. Boys perform using Floor Exercise, Pommel Horse, Still Rings, Vault, Parallel Bars, and High Bar. Rhythmic Gymnastics is more a sport of movement and choreography. The gymnasts use mobile apparatus to perform movements such as throwing and catching balls, using hoops, and twirling long ribbons, batons and ropes. 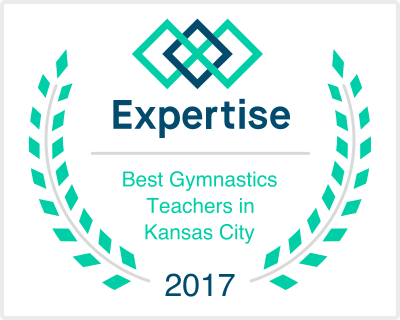 Unlike Artistic gymnastics, Rhythmic is not widespread in the Kansas City Metropolitan Area. Self-discipline: it’s inherent in this sport. A great base to launch the student into other sports. Realization that learning is fun! Oh yes…the kids have a great time!